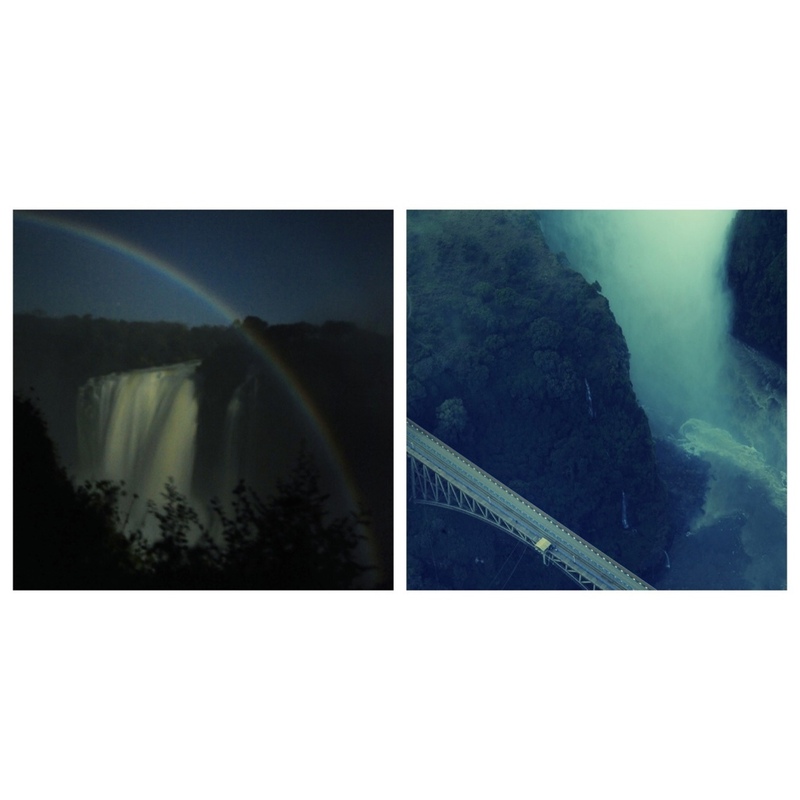 As I continue documenting the Oasis Overland adventure group around our current base, the jaw dropping gorgeous Victoria Falls, I was able to get some still shots of this wonder saturated by moonlight. Although the cameras took a beating in the very, VERY wet conditions from the Fall’s mist, I managed to get some shots which show an amazing rainbow. A rainbow! A moonlit rainbow. It was just so beautiful I wanted to share it with you. Will have more images available in the next few days when I have the time to send them in between shooting, editing, sound checking, archiving, eating, sleeping, travelling in and out of destinations, and participating. It’s all very exciting, and enjoying myself completely. Only three more weeks to go, can’t believe how fast the time has gone by, and still so much to cover. Those of you who have been to Africa know what I am talking about, there is just sooooooo much. Those who have never been I highly recommend it. See you soon.